A robust design spacious refrigerated multideck with a high front and mirrors for a long range, eye catching effect. 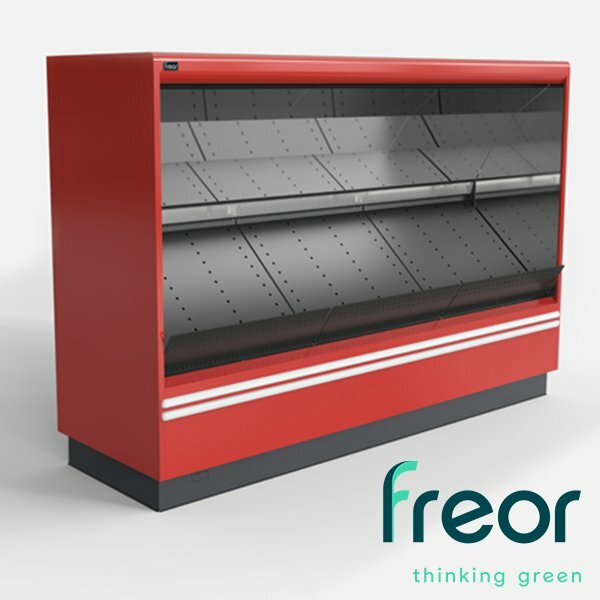 The new open refrigerated multideck Calista is specially designed to attractively present fruit and vegetables to your customers and keep them fresh for longer. Mirror effect enhance the impression of product profusion and freshness. Katalogové č.: NEPT With its small footprint, Neptun multideck was designed to meet the needs for an extremely narrow exposition depth. It fits into any store architecture and is a perfect solution for the display of various product types. Even air circulation between the shelves ensures the ideal preservation of refrigerated merchandise. Reduced refrigeration load. Neptun can be multiplexed to obtain lines of various lengths.